With the evenings getting darker and the leaves falling from the trees, it’s a beautiful and slightly spooky time to be in London. If you’re in the city for Halloween you might have imagined you’ll be worlds away from the home haunters of America, but actually this sinister celebration is also pretty popular here. So, you can expect the tap-tapping at your door for sweets in the evening. Or, if you’re out and about in the capital, your formerly reserved, eyes-deep-in-their-newspaper fellow tube riders can be seen anew as witches, ghosts, ghouls and probably the odd overgrown Harry Potter, too! 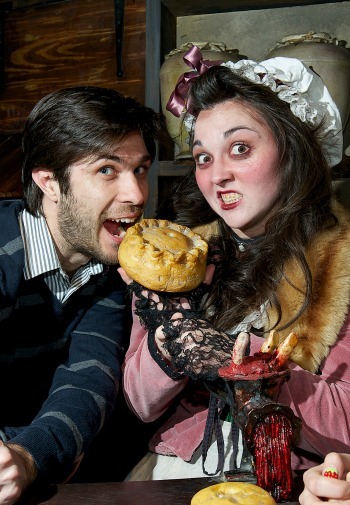 The London Dungeon offers a fright at any time of the year! Enthusiastic actors dressed up in Victorian finery and then covered in blood parade outside the dungeon, calling on people to venture, if they dare, into the dungeons beneath. Once inside, expect a walk through 1,000 years of London history with misty East London Streets, plague-ravaged houses and a Henry VIII boat ride like no other. Just what goes into those pumpkin pies? Especially for Halloween, fiendish Sweeney Todd, with his evil sidekick Mrs Lovett, will be standing by for especially gruesome “pumpkin pie making.” Plus, get up close and personal with Jack the Ripper, Guy Fawkes, Henry VIII and a vast supporting cast of historical characters who bring an authentically putrid London history to life. 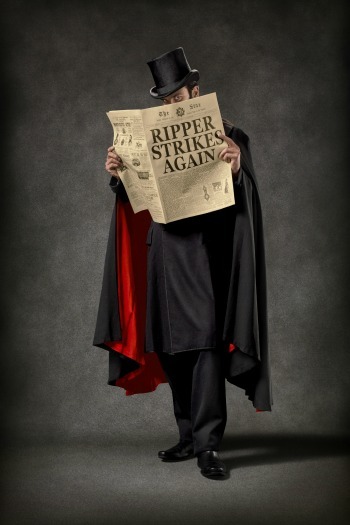 Be transported back to the mean streets of the Victorian East End on a Jack the Ripper tour. Guided down the narrow alleys of the Aldgate, Spitalfields and Whitechapel at dusk by a local historian, stopping where Jack the Ripper’s victim’s bodies were found and where clues were left, this notoriously tough area of London is really brought to life. Visitors will be offered the chance to look at all the evidence and make up their own mind about who this grisly villain really was. Fancy a gentler experience? 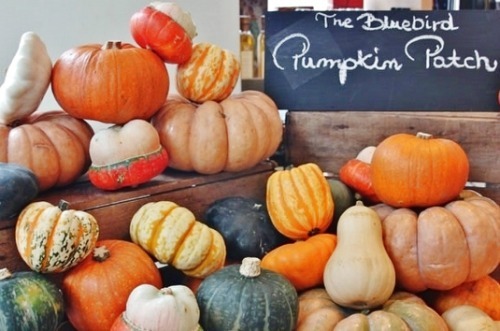 Then it’s all about pumpkin picking at the beautiful Bluebird in Chelsea. 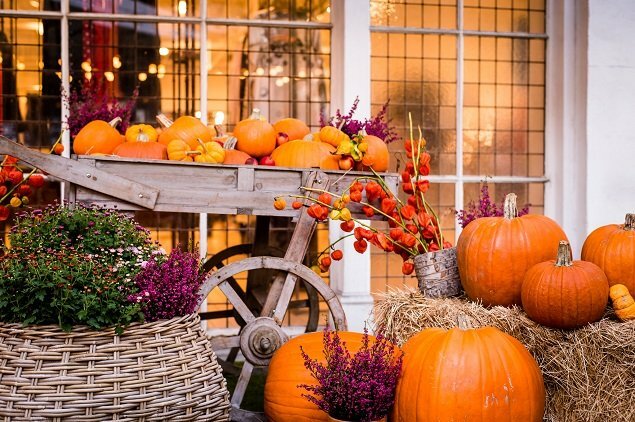 In the run up to Halloween, the food and wine shop right next door to the Bluebird Restaurant and Café will be showcasing it’s very own pumpkin patch, with all varieties of squash for eating or carving for you to choose from. 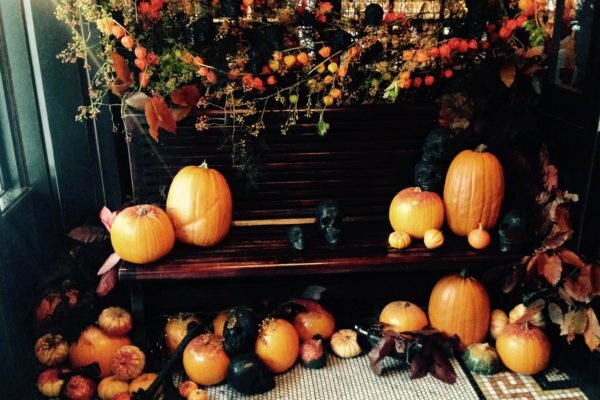 Next door, the Bluebird Café will be serving up Halloween inspired dishes including pumpkin soup, ghost cupcakes and “serial killer” cocktails for those who are feeling devilish! 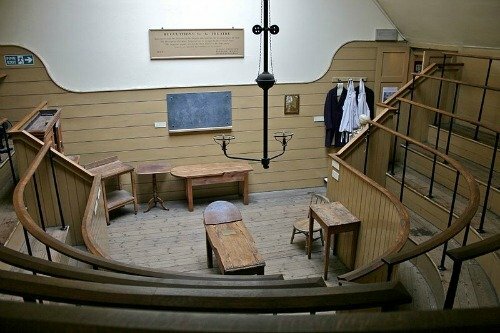 If quirky is what you’re after, then how about the Old Operating Theatre Museum, tucked behind St Thomas Hospital just south of the Thames. On arrival, little wooden steps will lead you upwards and into a Herb Garret used from approximately 1703 to dry herbs for a local apothecary. Take a few more stairs and you’ll discover the oldest operating theatre in Europe. Purpose built to allow natural light to stream in from above, students to access the operation from the street and also to provide a level of sound proofing from the patients being operated on without anaesthesia! Wander freely around the theatre imagining you too are a surgeon about to demonstrate a cutting edge technique. Why not try your hand at some light surgery? Your audience is waiting. As well as the theatre itself, there is also a treasure trove of surgical equipment to see. 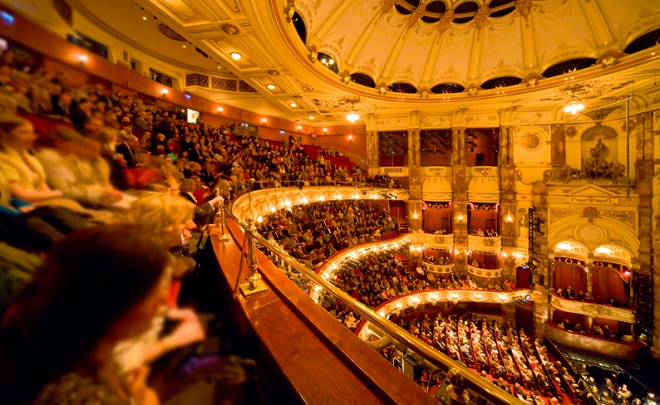 The theatre itself is complete with wooden beds and gowns. Surgeons also liked to compete with each other for the bloodiest gown, so expect blood…very, very old blood! Ghosts and a tour of London? Huh? Well, yes and on a Routemaster no less. 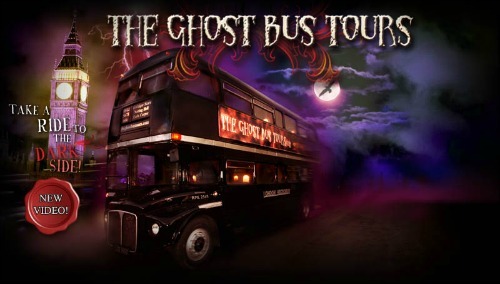 Take The Ghost Bus Tours departing from Trafalgar Square and travelling to the execution sites of Whitehall, The Great Fire of London at Monument, murder and execution at Tower Bridge and to where heads were pushed on spikes for all to see at London Bridge. This offers a unique and definitely macabre way to brush up your British history. 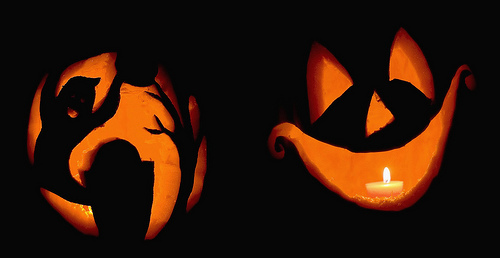 M’wa ha ha and a Happy Halloween to all! Megan Donnelly is a writer, reservationist and former Londoner, currently residing at London-by-the-Sea, or Brighton as it’s otherwise known. Posted on Wednesday, October 30th, 2013 at 1:43 pm in See & Do. You can follow any responses to this entry through the RSS 2.0 feed. You can leave a response, or trackback from your own site.